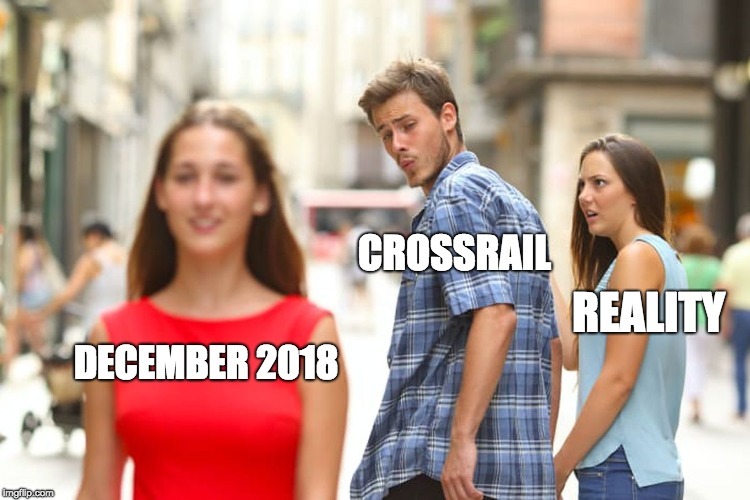 "We have concluded a change is required either because Crossrail’s needs have changed given the project is no longer in a “business as usual” state." "We found evidence / examples that an important control or process was missing or was not designed and / or operating in line with good practice." "Trust between Sponsors and the CRL Board has been undermined by reporting that did not sufficiently surface the probable impact of or the magnitude of the emerging performance issues soon enough." "The CRL Board continued, until relatively recently, to pursue a pre-planned demobilisation of central resources around a December 2018 Stage 3 opening." "There was a much reduced level of internal audit coverage in 2017_18 and 2018_19, with insufficient coverage in particular in the critical areas of finance and commercial controls." "There was insufficient clarity around reporting of whole programme performance. To understand whole programme performance requires an assessment of a number of separate critical paths and their inter-dependencies." "Programme assurance has also not consistently covered all elements of the programme, the integration of the programme or operational readiness." "CRL performance monitoring and reporting has not led to timely / adequate advance notice being provided of the need to materially change the Stage 3 opening date and the resulting significant cost impact." which had a much more substantial cost run rate than the issues addressed in the scenarios." The quote was about the whole route. It is essential to get Abbey Wood/Paddington running first. I'm sorry, couldn't help it. Well according to somebody I know, the chance of even that happening this year is pretty much non-existent. The central core is the 'key bit'. The rest pales in comparison. In terms of showing off "big new bits of railway" then yes. The politicians will fawn all over that bit and passengers will go "ooh" for the first few times they travel on it. In terms of money in TfL's coffers then Paddington to Reading is vastly more important because TfL gain a significant share of the revenue on Padd - Reading flows. Fares here are vastly higher than on TfL or on South Eastern (the only other bit where TfL will extract revenue from a TOC). Also fares on GWR (outside the zones) will keep rising so even more important when there's a fares freeze in London. Being able to run into Heathrow at a higher frequency than now will also be an aid to TfL's revenues. (Fares from Padd - West Drayton are on the TfL farescale so have been frozen with TfL no doubt paying GWR compensation). A lot of the revenue on the core section is simply transfers from other TfL (tube) services in the short term. The Abbey Wood branch will extract some South Eastern revenue but will also hit DLR and Jubilee Line revenues in the short term. TfL have remarked about internal revenue transfers several times in public scrutiny sessions. Once the railway is all joined together and running at the planned high frequencies then further trip and revenue generation may kick up but that is highly dependent on the state of the economy. If it tanks due to a certain looming event then, IMO, all bets are off as to what money Crossrail will bring in. In terms of revenue, the takeover of the GWML services may be the most significant. But that adds no extra capacity. Only the core (including the Abbey Wood line) does that. Passengers on the GEML and GWML may have noticed their trains are now a different colour, and the more observant may even have noticed they are a different shape, but the services are no faster or more frequent, nor (at least on the GEML) are the trains any longer. You can probably squeeze more passengers in on a 345 on GEML than on the old 315s with their traditional seating. More standing of course on 345s. The core section is relatively self contained. It can run without affecting other services. Dynamic testing is in progress. The stations are also more complex. There is so much kit on the stations which has to work with the older parts of the stations. The number of lifts and escalators is amazing. Incline lifts at Liverpool Street look great. The core also frees up space on other lines. This will really be needed at North Greenwich. Massive housing development in progress. Sorry to sound a bit arrogant but I know all that. I am not convinced that people in Thamesmead, Woolwich, Charlton or Eltham will desert North Greenwich because it is so much cheaper to travel from there. I don't see people forking out for an extra two fare zones just to save a few minutes by using Crossrail. I think North Greenwich is a looming disaster area for the tube (and bus) network as is Canada Water. I think both stations will become completely inoperable in the peaks within 10-15 years and there is no strategy to deal with any of this. From what I can tell the video shows a train running wrong line Eastbound on the Westbound track from Farringdon to Liverpool Street. I hope that floating track slab under the Barbican is doing its job. I think North Greenwich is a looming disaster area for the tube (and bus) network as is Canada Water. I think both stations will become completely inoperable in the peaks within 10-15 years and there is no strategy to deal with any of this. I think the way to sort out Canada Water is to sort out Southern/South Eastern in terms of reliability, capacity and fare equality. As for North Greenwich, my guess is that the strategy for the bus network around there is "Silvertown Tunnel" although in reality this is more likely to make things worse rather than better. What is really needed is something like Greenwich Waterfront Transit - segregated buses and/or a tram with a bridge or tunnel for these (plus cyclists and pedestrians) to Canary Wharf. A fixed link from Gallions Reach to Thamesmead would also help distribute the traffic. All this though would cost rather significantly more than anyone with any money is willing to spend currently. The issue with Canada Water is the sheer numbers changing between the Jubilee and ELL. The cancellation of JNAT hasn't also helped matters down on the Jubilee platforms.